Sypnosis: Beautiful but pious sisters Martine and Philippa grow to spinsterhood under the wrathful eye of their strict pastor father on the forbidding and desolate coast of Jutland, until one day, Philippa’s former suitor sends a Parisian refugee named Babette to serve as the family cook. 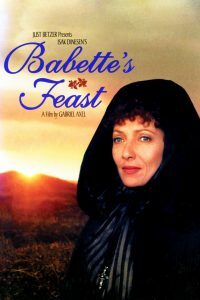 Babette’s lavish celebratory banquet tempts the family’s dwindling congregation, who abjure such fleshly pleasures as fine foods and wines. The 2018-2019 SoundScape Cinema Series was curated by Igor Shteyrenberg, Executive Director, Miami Jewish Film Festival.